Dr. Susanne Foulk is an Adjunct Assistant Professor for the Master of Teaching (Online) program for the USC Rossier School of Education. Foulk’s teaching background at USC, since 2008, includes Human Differences and Teaching Special Populations, Application of Theories of Learning to Classroom Practice, and Introduction to Special Education. Foulk has served on dissertation committees at Rossier, which have addressed literacy and motivation for youth in at-risk circumstances. Foulk’s expertise is in inclusive practices in education and educational issues that affect youth in the foster care system. Foulk’s research interests include youth mentoring, motivation, literacy, self-regulation, and self-efficacy development for children and adolescents with special needs. Recently, Foulk authored a book chapter entitled, Inclusion Needs of Youth in the Foster Care System through Strategic Mentoring: A Social Justice Perspective (In Esposito & Normore, Eds., 2015), which was published by Information Age Publishers. Foulk also recently authored a paper entitled, “Overcoming motivational barriers to including children with special needs in early childhood settings” that was presented in Puerto Rico at the 2014 World Forum on Early Care and Education, which included child educational advocates from 81 Nations globally. Foulk’s professional experience includes a diverse background in working with children and adolescents with and without special needs. This includes the founding of a small school, which included students of various cultural backgrounds with physical disabilities and learning, behavioral, and emotional challenges. Foulk also founded a non-profit educational organization in 1999, Foundation for Greater Opportunities in Learning (FFGOIL), which is developing an online, research-based, mentor/tutor training project for mentors of youth in foster care. Consulting projects have ranged from serving as the director of educationally structured, inclusive early education programs to developing a literacy project for children and adolescents in foster care at the Edelman Children’s Court through the County of Los Angeles, Department of Children and Family Services. Foulk also developed online content for West Ed’s Early Start Online Lessons, which addressed development foundations for early intervention teachers and service providers. Foulk’s recent involvement has been on a project with the Coalition for Educational Equity for Foster Youth, which culminated in the development of accountability measures that California school districts use to support educational success for foster youth. 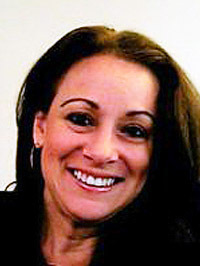 Foulk received both her Doctorate of Education and Master of Science degree in the division of Educational Psychology and Technology from the Rossier School of Education at the University of Southern California and her Bachelor of Science degree in psychology from the University of LaVerne.